The suspects you know, in the mansion you remember, with the weapons you love! 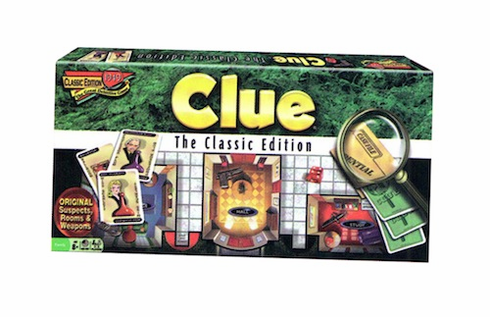 Yes, this is the Classic Clue! Contains gameboard, 6 suspect tokens, 6 weapons, deck of suspects, weapon and room cards, confidential case file, detective notebook pad, die and rules. Ages 8 and up.